Basil and parsley are growing in abundance this week, so bring out those bold herb flavors and try out some of these delicious recipes! Roasted Red Pepper, Mozzarella and Basil Stuffed Chicken– Make a flavorful dinner and treat yourself to the best combination- basil and mozzarella! Pesto– You can never go wrong with pesto! It’s also easy to freeze and keep on hand for a boost of flavor for any meal. Baked Salmon with Parsley– Something delectable, delicious and nutritious! 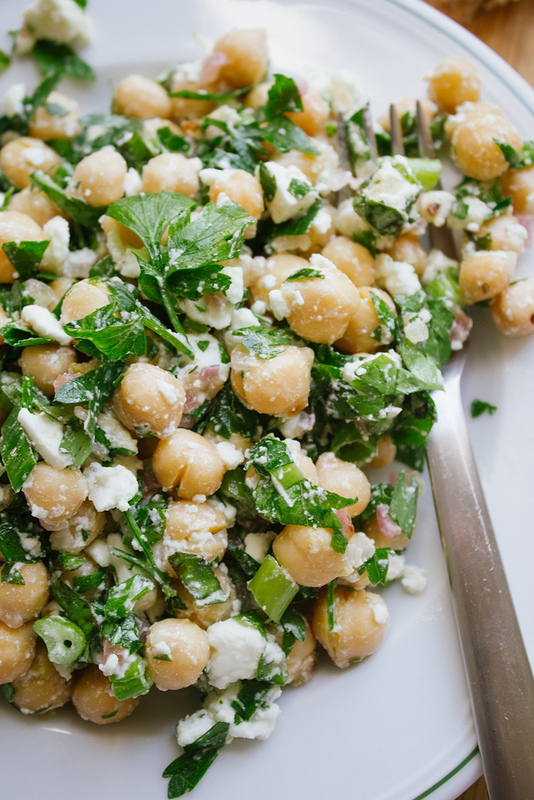 Chickpea, feta and Parsley Salad– Having a get together this weekend? This would be a great dish to share, or a great side to any lunch! Next > Greens, Greens, Peas, and Beans!